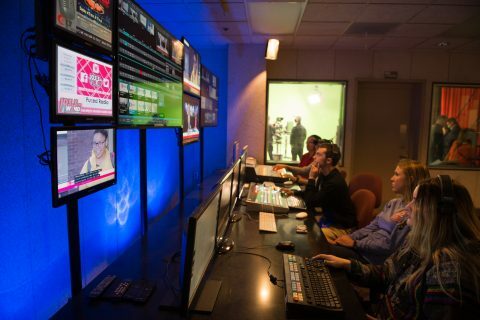 The National Academy of Televisions Arts & Science announced four Chicago/Midwest EMMY Awards nominations for Illinois State University's TV-10 News on September 24. 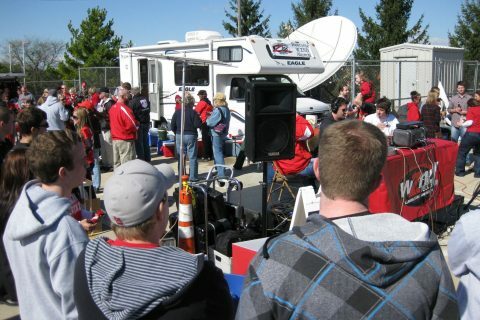 The SoC will host its 19th annual School of Communication Homecoming Tailgate Party on Saturday, Oct. 13 at 11 a.m. outside of Hancock Stadium. Migos. Cardi B. Beyoncé. These are names most students would not expect to often hear at an academic workshop. However, one Illinois State University School of Communication (SoC) alumna is using “the culture” to cultivate student leadership. As the fall 2018 semester comes to a close, many graduate students are preparing to share their research with communication professionals on national and international levels. Over 2,500 Illinois State University School of Communication (SoC) students have completed more than 4,000 internships since 2008. Across 14 years of economic, political, and institutional ups and downs, the School of Communication (SoC) has maintained a steady trend of enrollment growth. Faculty and staff in Illinois State University’s School of Communication (SoC) continue to be recognized for great leadership and excellence year after year. This year, several faculty and staff were recognized for their great work.